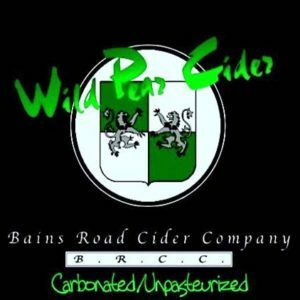 Hard Ciders & Fine Fruit Wines – Bains Road Cider Co.
An interesting brew! Very sweet, very high in alcohol! This fortified, spiced pumpkin wine was made from our family's backyard pumpkin patch and the leftover pumpkins from neighbouring farms. 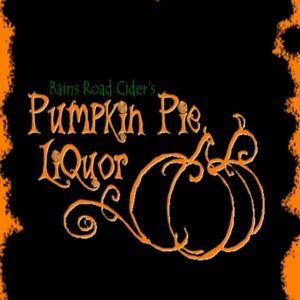 It started out as a pumpkin wine, made from pressed pumpkin juice and evolved into what it has become. At 20% alcohol, spiced with locally purchased pumpkin pie spice, and oaked with Canadian oak, it is a shot of pumpkin pie in a glass. Try some at your next party, or try some in your coffee! Off-dry, Rose wine with 11% alcohol. Made with 100% sour cherry from local farms. Our first release, it is available at many local restaurants. Pairs well with soft cheeses like Brie or Goat. 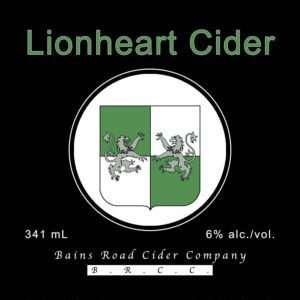 Dry, white table wine made from 100% Ontario apples. 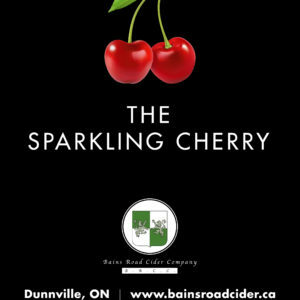 At 12% alcohol, it is meant to be a companion to The Sour Cherry, it pairs wonderfully with roast pork or turkey dinner. Our Dry Apple wine sparkled to make it a lovely apple bubbly! Great way to celebrate Christmas Eve or makes a great gift. 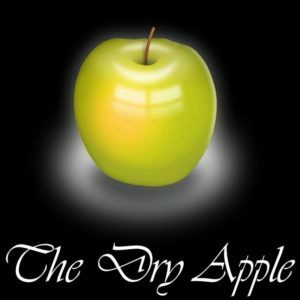 Very crisp and dry, hard to tell that its made from apples. Our Sparkling Peach is made from Niagara peaches. At 7% alcohol, it's sparkling, off dry and bursting with peach flavour. Light and refreshing, made from excess strawberries provided by local farms, this is sure to please. Alcohol - 6%. Sparkling and semi-sweet, a taste of summer in any season. At the request of the township, we began working on a wine to commemorate the year 2012 as being 200 years after the war of 1812. We came up with a traditional style of wine from that era. As there was no wine industry in the new world to speak of, wines would have been shipped across the ocean in barrels. To survive the long journey, they were fortified and sweetened to make them a hostile environment to spoilage organisms. The Black Currant is 15% alcohol and very sweet, made from local black currants. Bottle necks are sealed with blood red bottle wax. Very popular - Limited quantities. This wine was made as a partner to the Black Currant and is a particularly nice sipping wine. Made from leftover strawberries and rhubarb from local farms, it is quickly becoming a favorite of ours. High acidity from the rhubarb is balanced by the high sugar levels and strong flavour of the strawberry. Very sweet, and at 15% alcohol, it makes a refreshing sipping wine due to it's unique, smokey character.